The US dollar rally continues to be supported by strong US data, accommodative comments from Fed officials, and a very strong US stock market. This week also saw big shifts in interest rate probabilities, the market shifted from seeing the next move go from a cut to now favouring a rate hike. Next week will provide many catalysts for the next major move with risk assets. China’s trade talks with the US remain the main risk event for the financial markets, but traders will closely watch the fourth quarter Chinese GDP reading which is expected to shrink from 6.5% to 6.4%. Brexit will also remain on the docket as Prime Minister May will need to wrap up cross-party talks and come up with a Plan B by Monday. May will likely have to extend Article 50, but if she is unsuccessful, things can get ugly very quickly for cable. Early on Wednesday, the Bank of Japan (BOJ) is expected to keep policy steady, but they could lower their inflation and growth projections. This week, US economic data came in mixed with fairly stronger results at the end. On Wednesday, Import and Export prices came in better than expected, the NAHB Housing Market Index also rose as mortgage prices fell, and the Beige Book painted a picture of a strong economy with escalating worries. Thursday, the data was solid as both Jobless claims data came in better than expected and the Philadelphia Fed Business Outlook rebounded and ended a string of weaker prints. Friday’s data saw manufacturing post a strong rebound. The Industrial Production data rose 0.3% in December from the prior month and Manufacturing Production, which is the majority of the nation’s total industrial output climbed 1.1% in December, the best rise in 11-months. We do continue to see several key economic releases be affected by the government shutdown. Some attribute the lack of weakening data points from the US as another reason of support for recent rally in risk appetite. Fed speak this week was in-line with what Fed Chair Powell set out earlier in January. The key phrases that Fed officials repeated this week were: Economy performing well, Fed can be patient, and reassess balance sheet if conditions change. 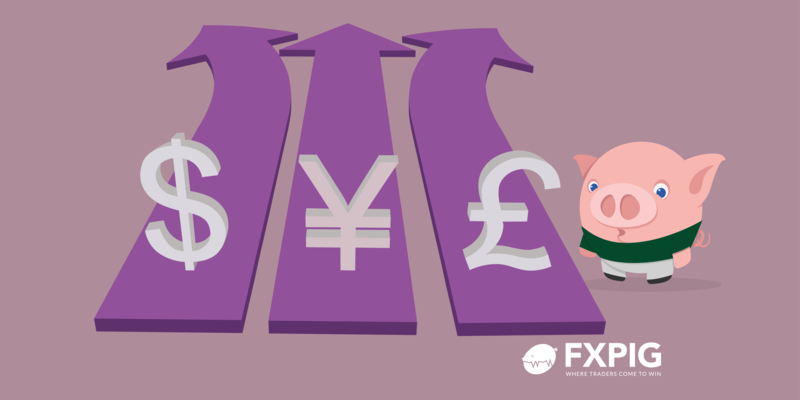 The Fed’s dovish stance is firmly in place and high-beta currencies may finally start to rally if the trade truce is extended and we see global concerns ease. US stocks continue to roar ahead on trade optimism, ignoring the partial government shutdown that is showing no signs of ending. The S&P 500 index finished higher for a fourth consecutive week, also surging past some key technical levels. Friday’s rally followed the CNBC report that China reportedly offered a six-year increase in US imports worth $1 trillion to eliminate US trade imbalances by 2024. US negotiators were said to be sceptical of the offer and wanted the imbalance removed within two years. Talks will resume at the end of the month and optimism is growing that enough progress is being made for the US to hold off raising tariffs after the March 1st deadline. The major banks kicked off earning season this week and delivered mixed results. The general view we saw this week on the consumer and business climate was positive and that helped stocks remain bid for most of the week. The government shutdown has reached its 28th day on Friday and we are not seeing any signs of compromise from both sides. We will most likely need to see a large event that forces government officials to agree on a deal. It may require TSA employees staying at home and disrupting air travel or if we wait till the end of the March when federal funding runs out for food stamps. The 800,000 furloughed workers financial pain continues to grow each pay period that passes, and the political price is growing on both sides. Oil’s rebound continued this week as OPEC’s cuts appear to be working. Friday’s surge stemmed from positive steps in trade talks between the US and China. A framework of a deal is nowhere close, but we are starting to see significant concessions offered by China. US crude is up 18% this year, the best start since 2001. The global supply glut concerns have eased but will likely return if we see prices retake the $60 a barrel level. If we do see a perfect storm of risk appetite, ending of shutdown, trade truce extended and solid earnings reporting, we could see a major leg higher for oil. OPEC however, will unlikely be keen to see prices extend back towards the $75 region, as that is where the majority of US shale players need WTI to reach in order to be profitable.